So I am sooo behind in updating blog post that I am going to attempt to get caught up in the next week or so. So I am going back to the birthday party that I surprised my hubby with. His birthday was August 2nd and he turned 29. For the hubby it wasn't a big deal, but for me I always like to make his birthday special since he didn't have real birthday parties growing up as a child. So I feel like he has some making up to do in the birthday party department :) Typically its hard to get one up on the husband because when he is not at work, he is home and is super nosy. But I got him good this time because he didn't even know at all..not one clue..I'm good. I invited a few of his co-workers to our house after work since his birthday fell on a Tuesday. We also have only live in PA a few years, so most of our friends and family live in New Jersey and it's impossible to get them out here on the weekend let alone during the week. In order to get him away from home long enough to set up everything up, I had a friend of ours asked him to go over her house to "fix" her wireless network LOL. So by the time he got back everyone was here...and boy was he surprised! Because I put sooo much work into his cake...I didn't have time to actually make the food (which happens often around here) so I enlisted the help of my cousin to set up the food while I was at the shop and then I brought home the cake. I am soo in love with this cake because I could do whatever I wanted to do since it was a surprise! 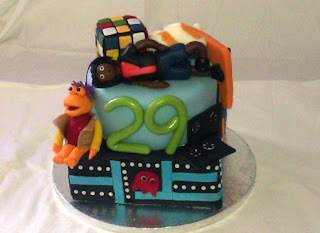 I decided to do a 1980's theme cake since he was born in the 80's like me. 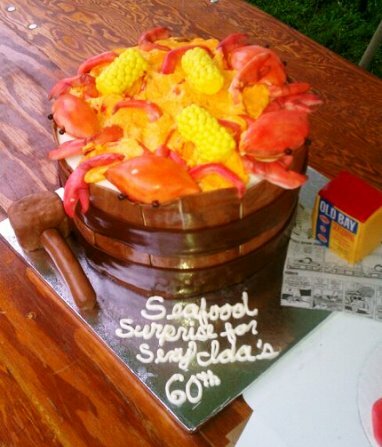 It was made of 2 tiers; the bottom was black cherry and the top was orange creamsicle. The bottom tier was decorated to look like the pac man game. The top tier had a hand molded 29 on the front and along the sides were 2 cassette tapes, one of the characters from Fraggle Rock, a record player and some records. 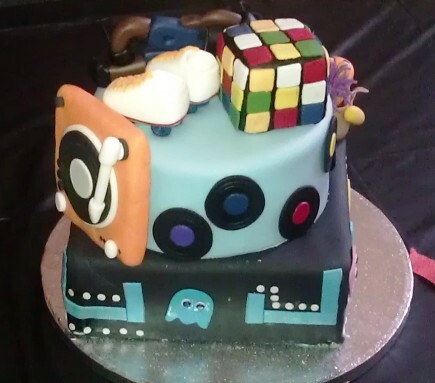 On top of the cake was a pair of roller skates, a Rubik cube and break dancer that resembled my husband. 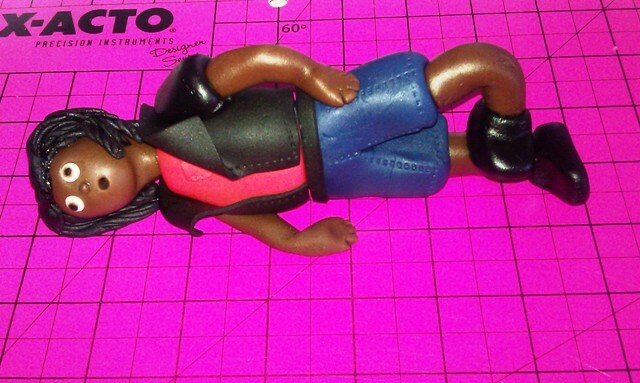 The hubby has dreadlocks, so I gave the break dancer dreadlocks as well. 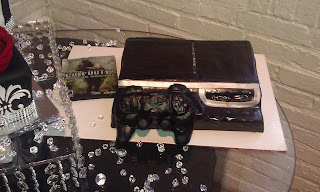 Below is 3 pictures of what the cake looked like before it got demolished by everyone at the party. 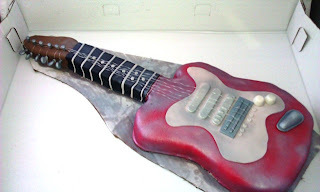 I can't wait until next year to see what I can come up with for his birthday! There is always my little one's birthday in November.